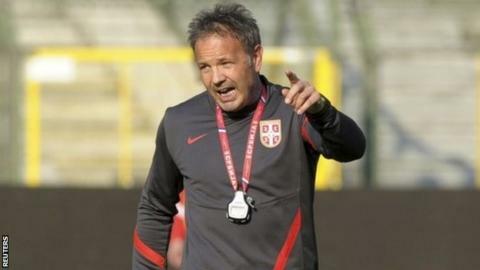 Sampdoria have appointed Serbia boss Sinisa Mihajlovic as their new first-team head coach. The 44-year-old, who leaves his Serbia job, replaces Delio Rossi, who was sacked after 11 months in charge, with the club 18th in the Serie A table. Former Sampdoria left-back Mihajlovic takes his fourth club management job in Italy after spells in charge of Bologna, Catania and Fiorentina. His first game is against Lazio, one of his former playing sides, on Sunday. Mihajlovic had only been in charge of his country since last year but they failed to reach the World Cup, finishing third behind Belgium and Croatia in Group A.